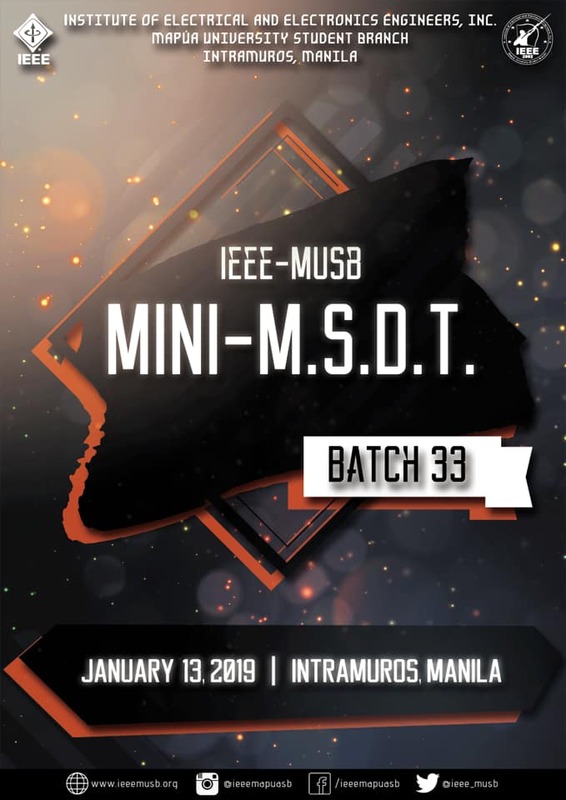 We would like to invite you to our upcoming Batch 33 Mini-MSDT which will be held on January 13, 2019 (Sunday). The location is in Intramuros, Manila. The prices will be 280Php (inclusive of Mini-MSDT shirt, lunch and snacks), 180Php for SHIRT only, and 100Php for FOOD only. The deadline of payment is until 12:00 PM of January 8, 2019 (Tuesday). Please approach any member of the Finance Committee for payments.